At tj876 Lifestyle Photography, we always aim to make unique and memorable moments with our clients. 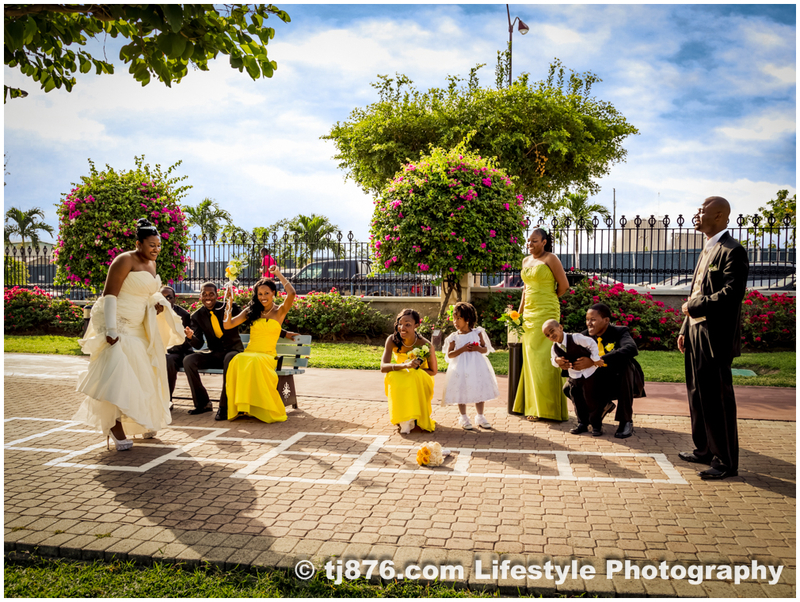 Whether it is a maternity, newborn, engagement, or wedding session, we think outside of the box to create a uniquely Jamaican and uniquely tj876 experience. 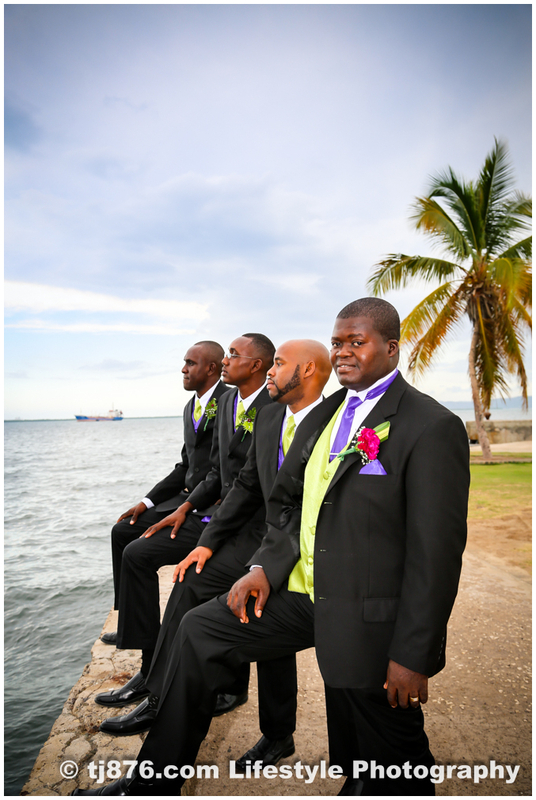 You can just imagine our dismay when a client approached us to photograph their wedding to be held in downtown Kingston ON A THURSDAY. I love downtown Kingston. It is a goldmine for photography. 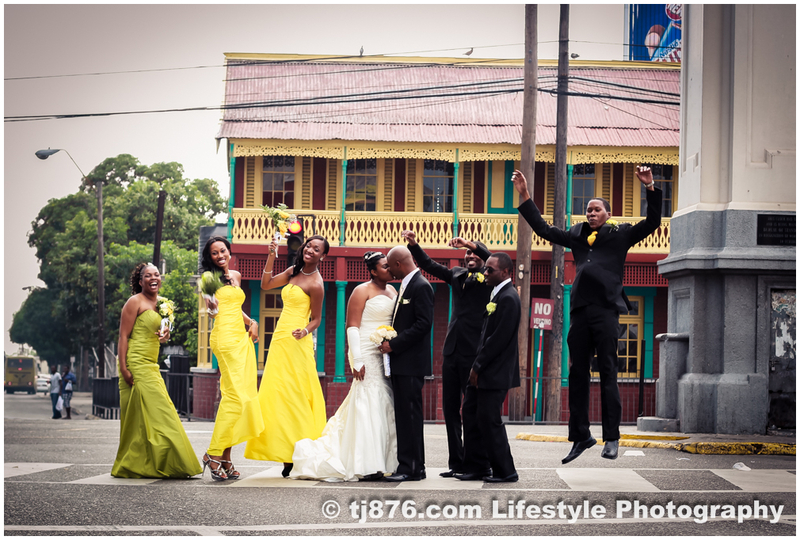 I have shot wedding formals on the waterfront, engagement pictures on port royal street, but always on a Sunday. of the area and the ideas that came quickly to mind. 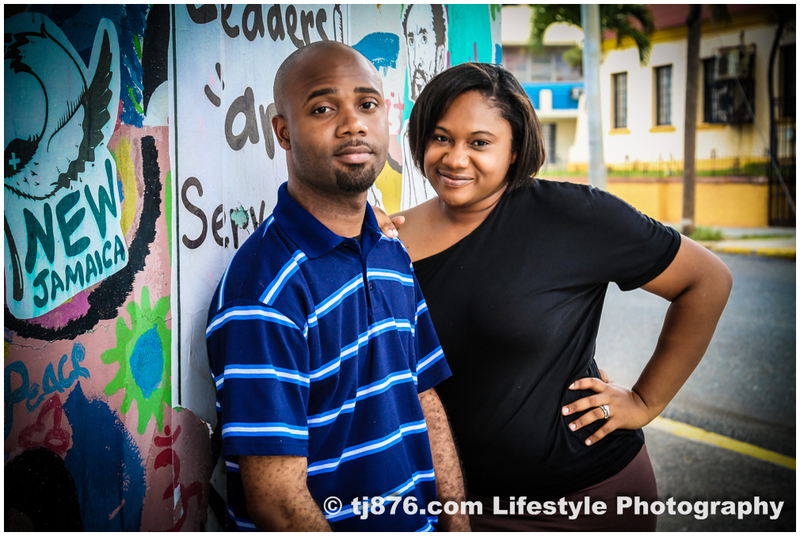 After venturing on a few scouting missions, we had our locations, and we were satisfied that we could deliver a uniquely Jamaican and a uniquely tj876 wedding photography experience. We considered the grounds of the train station. However, from the road, the compound seemed abandoned. Which came as no surprise as it had been decades since the last passenger came off a train at that station. The night before the wedding I was plagued with thoughts about what was behind the walls of the station. I took to Google, which mostly had pictures taken before I was born. I tried Google earth’s satellite view but a remedy for my inquisitiveness could not be found. At 9:00 am on the morning of the wedding I jumped into the car with my small scouting camera in hand and headed towards the train station. While pulling up, I saw a lady going through a door at the front. I quickly ran towards her before she could close the door, and explained what I wanted to do. She allowed me to come in and introduced me to the security supervisor, who introduced me to someone who could have been the property manager, who asked me to write a letter to and introduced me to the general manager, who had no issues with me using the grounds but referred me to the accountant to make payment, who referred me to his manger as he didn’t know how much to charge. The accounting manager then referred me back to the accountant to make payment, who prepared the contract and sent me to the receivables personnel who took the cash. The process sounds tedious but in less than an hour, I had a contract in hand which granted me access to use the grounds for 30 minutes and the employees were very polite and helpful which was appreciated but was not expected given the track record of some other public sector (Tax Office) employees. The building that seemed abandoned from the outside was in fact, very clean, fully air conditioned and maintained to the standards of the era in which it was built. That just goes to show that you shouldn’t judge a building by its cover or book from the outside, or something like that. In under 5 minutes I walked around the compound, took a few area shots, and started formulating my ideas, and a shot list and identified interesting locations as I had to be with the bride by 11:00am when she would start getting dressed.